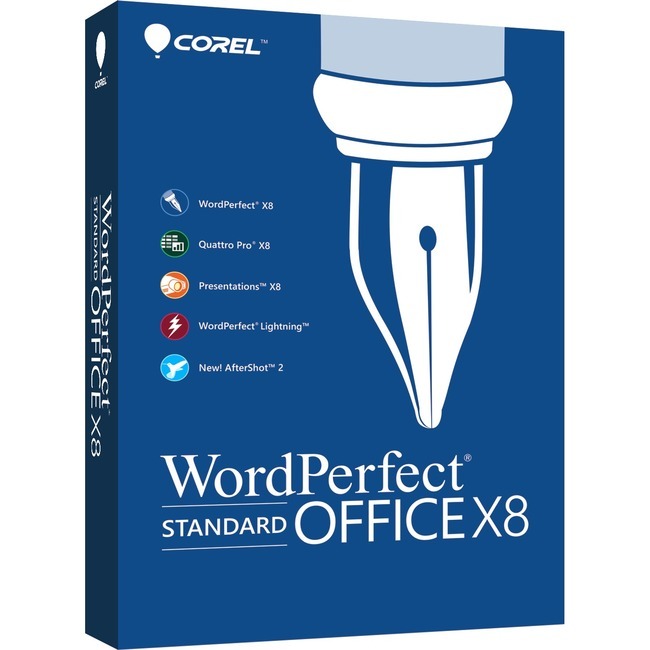 Come see why Corel® WordPerfect® Office X8 - Standard Edition is the legendary office leader for creating impressive documents, presentations, spreadsheets and more. With built-in PDF functionality, enhanced Reveal Codes and Template Previews, you'll have all the support and tools you need to work faster and smarter. Collaboration is made easy with support for over 60 file types, including the latest Microsoft Office formats. Plus, take advantage of the user-suggested enhancements to streamline your most important workflow needs. Discover all of the compatibility, power and affordability you need to be successful in any office environment.